Dr. Michelle Remme is a Research Fellow at the United Nations University’s International Institute for Global Health (UNU-IIGH). She has thirteen years of experience as a researcher and policy advisor in global health, having worked in academia, the UN system, donor development cooperation and private consulting. Prior to joining UNU, Dr. Remme served as Assistant Professor in Health Economics in the Department for Global Health and Development at the London School of Hygiene and Tropical Medicine. She was also a Scientific Collaborator at the Ifakara Health Institute in Tanzania. 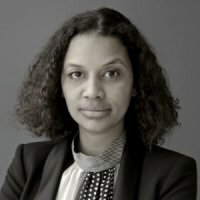 Her previous experience includes policy advice and technical assistance at the Dutch Ministry of Foreign Affairs and Development Cooperation on the socio-economic dimensions of HIV/AIDS and broader health financing issues, and at the Food and Agriculture Organisation of the United Nations in Malawi on the integration of HIV, gender and food security. She has also consulted for the World Bank, World Health Organisation, Overseas Development Institute, United Nations Development Programme, among others, in Mali, Malawi, the Central African Republic, Burkina Faso and Nigeria. Her research has focused on the efficiency and economic evaluation of HIV-related programmes, health system financing, including results-based financing, innovative co-financing models for multi-sectoral action on the social determinants of health, incentives for community health volunteers, public-private partnerships, aid effectiveness and the economics of violence against women and girls programming. She holds a PhD in Health Economics from the London School of Hygiene and Tropical Medicine and an MSc in International Economics and Finance from Tilburg University.